We all know that the pace of life seems to be getting faster, more complex and more challenging. Sometimes it can feel overwhelming! The ability to keep a steady course and to bounce back from adversity is crucial for one’s career success and for enjoying life to the full. A new report we have been providing to our clients in recent months is the Resilience Indicator. This highlights the strength of an individual’s resilience around twelve factors and is invaluable for reflection on possible areas of vulnerability and opportunities for improvement. Used in a group setting, the Resilience Indicator can provide summary reporting which focuses attention to areas of need from an organisational perspective. 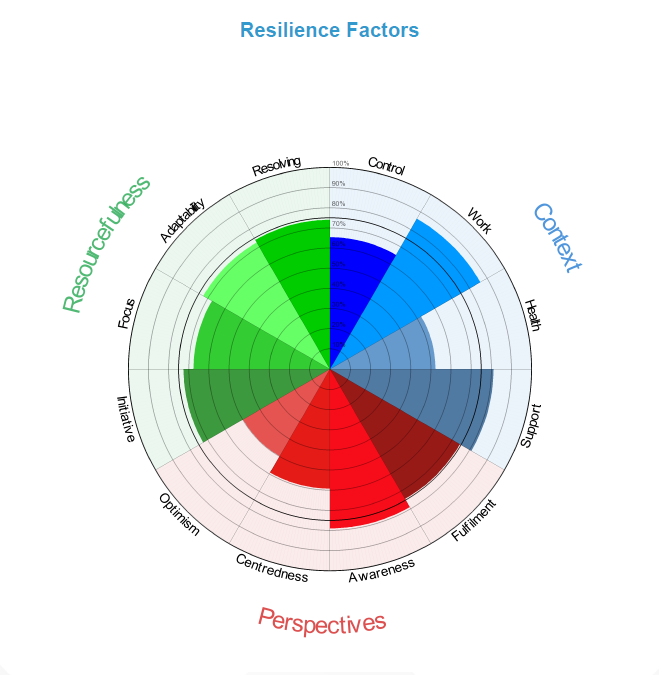 Ideally, the Resilience Indicator is used in conjunction with a Resilience Workshop, where participants are given the tools and techniques for sustaining the performance they want. However, it can also be used with great effect in coaching situations. For more information, contact Strategic Leadership.